The slopes winding up to one of the peaks of Mount Moroto (located in the sub-region of Karamoja in Uganda) are steep, at times very narrow and rocky. 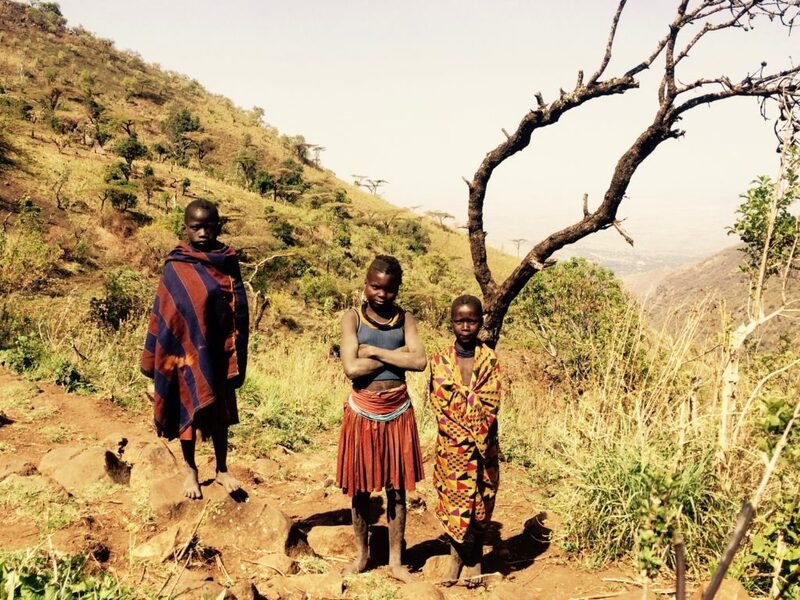 What I experience as a tough climb to the top is the everyday walkway for the Tepeth – one of the traditional societies belonging to the Karamojong people. The Tepeth have lived and worshiped their gods in the volcanic mountain chain for generations. Their lean and slender bodies are covered in colorful cloths and their dark skin is accessorized with bright necklaces, wristbands, belts or earrings. Shepherds, young women, elderly and children cross our way. Their glances are shy, though their facial expressions are full of pride. Isolated from globalization for the past decades, mounting development aid, foreign investment and newly emerging eco-tourism in the area, now increasingly expose the Tepeth to the odd mozunogo (= white person) – who climbs and camps close to their homes. For now, they still hold on to their harsh lifestyle which is grounded in the firm belief to embrace a balanced relationship with cattle and nature. For example, the Tepeth would never cut a living tree when a dead one can be found. However, any romantic notion of living a life off the beaten track, is soon overshadowed by the sight of empty plastic bags that used to contain cheap alcohol and are now scattered along the walkway. Low-quality liquor is consumed by women, men, youth and children alike. 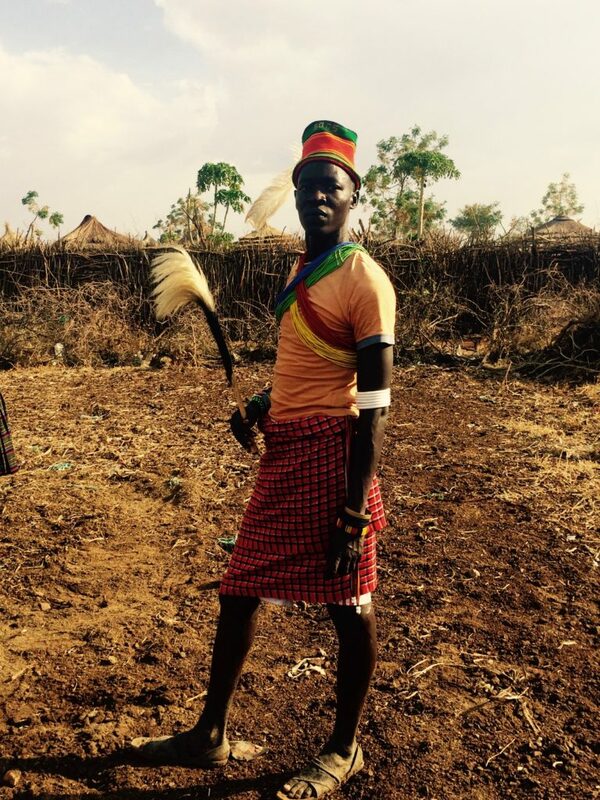 “This is a recent phenomenon” – so my local tour guide – who no longer wears traditional Karamojong clothes (except on official cultural days) and proudly describes himself as ‘civilized’. The Tepeth are a prime example of how some of the few remaining and endangered traditional African societies are suddenly surrounded by massive attempts to modernize and extract resources from a hitherto marginalized area. In fact, all traditional societies in the entire region of Karamoja have been lately subject to a fast appropriation of western norms and ways of living – thanks to an exponential growth of NGOs (Non-Governmental Organizations), development agencies, private investors but also through local Karamojong and Ugandan elites. While the sub-region has been dependent on food aid since the 1960s, it used to be one of the most remote and underfunded regions in Uganda in terms of infrastructure development and social services. 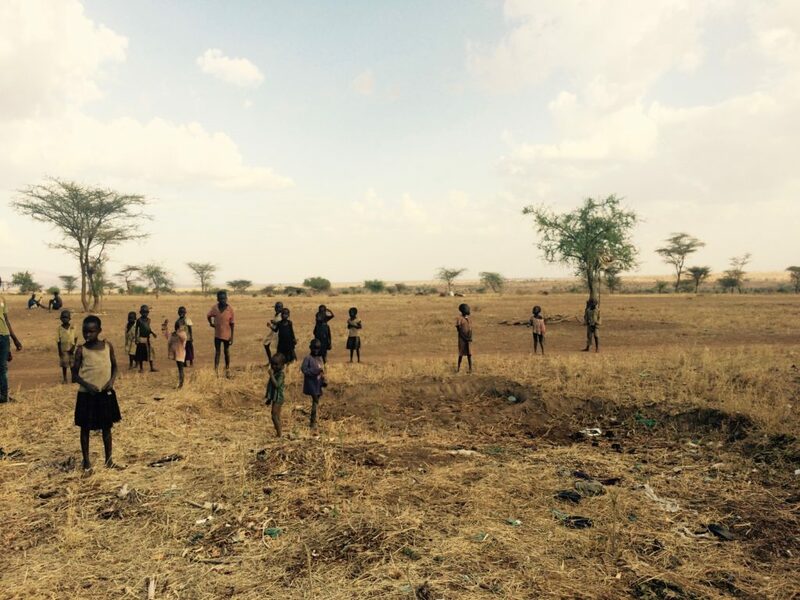 This seclusion allowed the Karamojong to maintain their cultural traditions and way of life. Today it receives a significant amount of development aid, roads are being constructed by foreign investors such as the Chinese and attempts are made by the government to improve access to public education and healthcare provision. Besides, the Karamojong have been at the sharp end of climate change and droughts frequently result in starvation. This intertwined relationship of conflict, ecological degradation, underdevelopment and lack of education has been often referred to as the so-called “Karamoja Syndrome” calling for solutions that fit the everyday realities of a nomadic pastoral community. It is questionable, however, whether current efforts to develop and modernize the region are a sustainable way forward. The vast majority of projects either build on or promote a settled lifestyle for the Karamojong. East African pastoralist communities have been adapting to climate variability for centuries and it is precisely their semi-nomadic lifestyle that allows them to cope with the impact of climate change and resource scarcities. According to a senior expert from the Coalition of Pastoralist Civil Society Organization (COPASCO), re-introducing or maintaining (semi-)nomadism would be one solution to fight poverty and starvation due to unprecedented long periods of drought. Conversely, most of my interviewees (ranging from government officials to development workers and local CSOs) did not share this view and believe that time has come to settle and ‘develop’ the Karamojong. In part this is based on the fact that land becomes more scarce and can no longer be solely used for grazing as it was previously done. This nonetheless begs the question whether development aid and foreign investment will be soon ‘eating away the soul of Karamojong culture’? Certainly, the region needs humanitarian assistance, there is yet a striking tension between modernity, traditionalism and aid dependency. In the attempt to dig a bit deeper, I get mixed responses from local CSOs about whether and how Karamojong culture should and could be preserved in a rapidly changing environment? For many there are ‘good’ and ‘bad’ cultural traits. The former referring to practices like dancing, the way of dressing or local village structures such as councils of elders. Bad customs are related to human rights abuses in the form of forced marriages or violence against women. The term ‘culturally-sensitive’ is thus used with pre-caution depending on the custom and context. In several respects development and traditionalism are supposed to go hand in hand yet strategies as to how to not wipe out a culture that has been in existence for centuries seem to be quite vague. 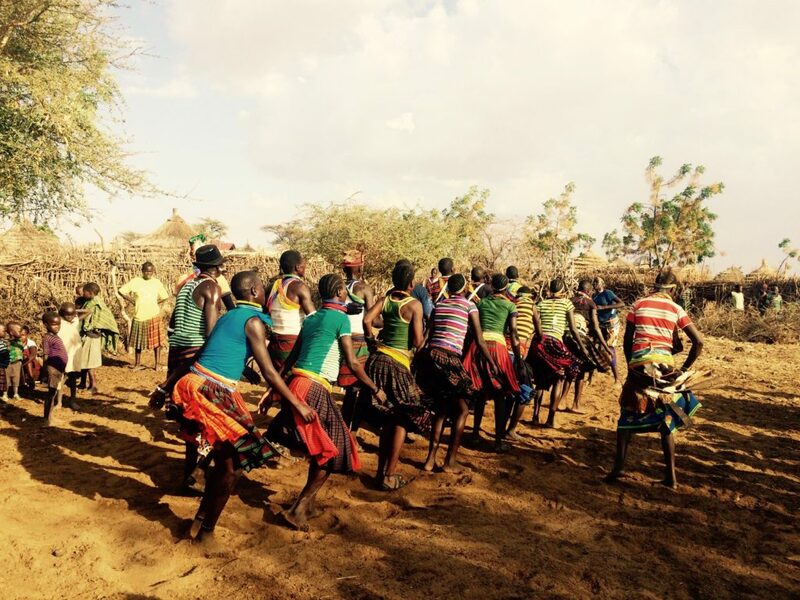 For now, cultural days (usually 3 day long events held in July) and dances that are still performed in the villages are meant to cherish the Karamojong way of life. In addition, children are supposed acquire deeper knowledge about their cultural background in public schools. Then again, during interviews with district education officials I learn that the majority of teachers in primary and secondary schools are actually not Karamojong and are deployed from all over Uganda – due to a severe shortage of qualified local teachers. Most of the teachers don’t even speak the local language and are not in a position to teach Karamojong children about their cultural background. The only non-formal education programme (ABEK) that was specifically designed in collaboration with the Karamojong to meet the needs of a semi-nomadic society and respond to local aspects of culture is severely underfunded and got recently downsized by aid agencies and the government due to a more settled lifestyle of the Karamojong. Notably, the sub-region has still the highest percentage of Uganda’s population with either no schooling or incomplete primary education (79.8 per cent being female and 64.8 per cent being male). There is no doubt, that every society and culture is constantly subject to change due to global, social, economic and political structures it is surrounded by. As Knigthon put it: “Culture is the accumulation of human response to situation.” The question though is, whether the Karamojong really get a chance of ‘their’ response to adapt to an entirely new situation? Visiting one of the biggest villages in East Africa (Nakipelemoru) in Kotido district, I witness again how alcoholism among former warriors and young women is on the rise. Little do we know what their version, pace and rhythm of development would have been.